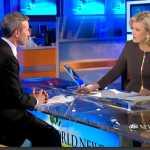 Dan appeared on ABC World News with Diane Sawyer last night in a continuing discussion on the breaking news of George Zimmerman’s second degree murder charge, announced that same day. To explain what that charge entails, Dan says there are two requirements when talking “not about premeditation, but intent to kill under the law” – first, the act had to have been “imminently dangerous” and also that he evinced what’s called a “depraved mind.” Sawyer questioned what that means, and Dan said it was likely that the jurors would probably ask the same thing. “It’s basically showing his intent…they’re going to have to show more about what’s going on in George Zimmerman’s mind when he shot Trayvon Martin.” A lesser charge would have been manslaughter, and in that case, “the prosecutor wouldn’t have to prove those two things” described above. “It would’ve been easier, the burden lower, but in this case the prosecutor is going for the maximum possible charge without a grand jury.” After 45 days of “white hot” media attention, Sawyer wonders whether he can get a fair trial. “They will be able to find a jury of people – maybe some of them know something about the case; you don’t have to find jurors who know nothing about it. You have to find jurors who are open-minded enough to be able to evaluate the evidence,” and in high-profile cases like this, Dan believes, we are likely to find that such a jury will be assembled. 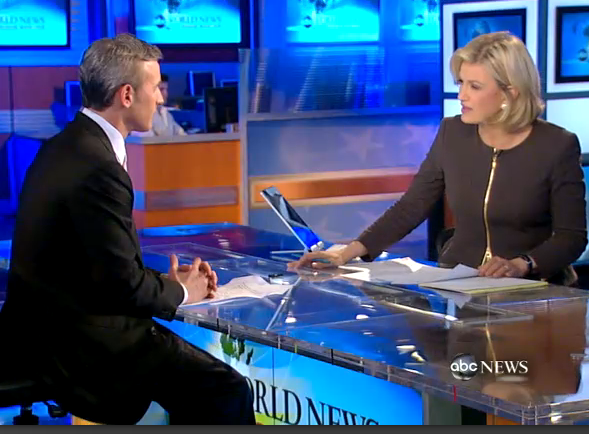 Watch Dan Abrams in the full discussion here.